BFBC MUSIC MINISTRY HAS A PLACE FOR YOU! As we gather for worship, we come to celebrate what God has done and respond to His Word and grace in our lives with passion, gratitude, and obedience. Many opportunities exist to discover, develop, and use musical gifts including solos and ensembles, Praise band, praise teams, children choirs, youth band/vocal ensemble, Handbells, Orchestra, Worship Choir, Senior Adult Choir, Media, Sound, Lighting, and Drama. Volunteers are needed to assist in these areas of ministry on an ongoing basis. Please contact the music ministry to see how you can be plugged in. (Youth/Adult,). Auditioned group/s of singers that lead in worship on a rotating basis. Rehearsals Sunday afternoons at 4:00 p.m., Wed. evenings at 7:15 p.m. and Sunday mornings at 7:40 a.m.
Age 3 as of 9/1 through Pre-K; Wednesdays from 6:00-6:30 p.m. Sept-May in Room 39 in Early Education Center. (K-5th grades, January-May, room 110) Children learn Biblical concepts and life application by participating in a fully staged musical production. 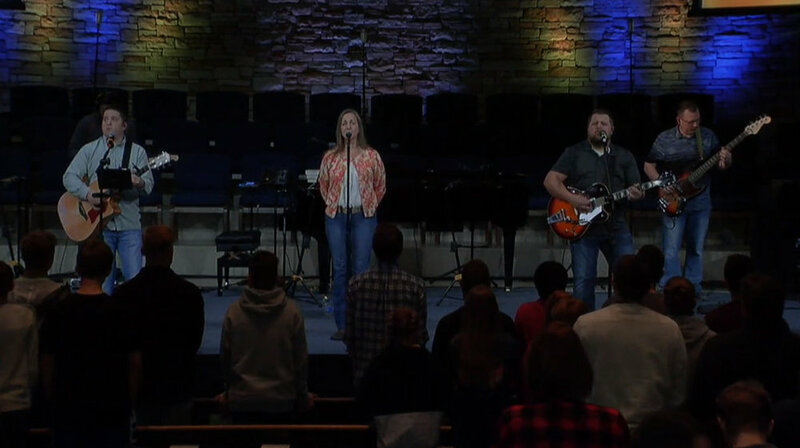 6th-12th grades, year round, Sundays at 5 p.m. in Student Center, lead worship on Wednesdays at 6:00 p.m. for IMPACT. We are currently looking for members to join us. In addition, we are looking for technical assistance. If you are interested in sound, lighting/projection or the band, complete the questionnaire by clicking below and return to the music office. (Woodwinds, Brass, Strings, and Percussion). Provide music accompaniment for worship. Rehearsal times are same as Worship Praise Teams. Wed., 6:00-7:15 choir room, Sundays 8:15 a.m. Choir Suite. The worship choir leads in worship on Sunday mornings at BFBC and provides special music each Sunday as well as Seasonal presentations during Christmas and Easter. Ladies and Men’s ensembles that meet periodically to prepare special music for worship. For more information about music ministry opportunities, please fill out the form below.